After a veritable cavalcade of TCMA minor league cards featuring players who never achieved MLB success, today's #5 features a bona fide big league hurler who won 108 games over 12 seasons, mostly for Les Expos de Montreal. 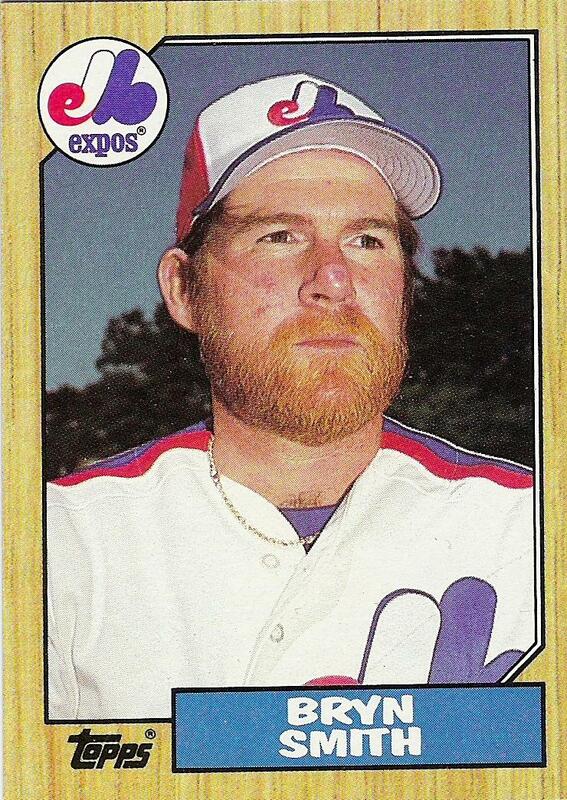 This card shows a clean-cut 23 year-old, but I remember Bryn as Captain Redbeard. Smith's beard was mighty enough to rate a Badass Beard entry on the Sorting By Teams blog. 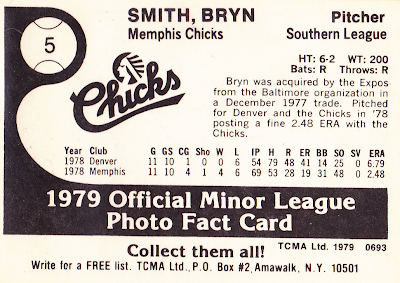 Team set checklist, courtesy of TeamSets4U's 1979 minor league page. Value: This #5 cost $2 at MinorLeagueSingles.com, a decent deal considering Bryn's MLB success. 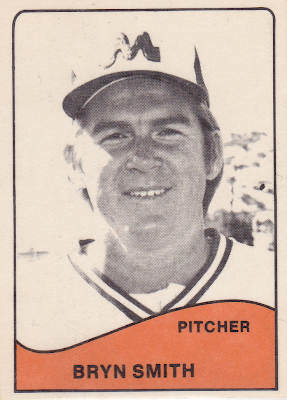 His 1979 TCMA Memphis teammates included future Montreal stars Tim Raines and Charlie Lea, so the team set's more expensive than most.